The success or failure of David Cameron’s planned renegotiation of the UK’s EU membership will depend to a large extent on how the other 27 EU member states respond to his proposals. But how do countries across the EU view the UK’s renegotiation? Building on a report published in 2014 by the German Council on Foreign Relations, this series presents overviews of the renegotiation from each of the EU’s member states. 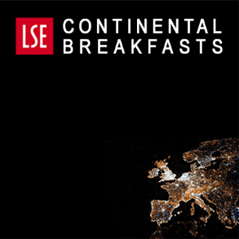 Compiled by the LSE’s Tim Oliver and written by authors based at universities and research institutions, the overviews will set out what discussion – if any – there has been about the renegotiation and the wider views within each country on the renegotiation and a potential Brexit. This post is the final part of the series and gives views from Germany, Greece, Slovakia and the EU’s institutions. All of the responses in the series are compiled here. Berlin’s position towards Britain’s renegotiation agenda and the preparations for the referendum in general have been consistent over the past few months. Germany has a strong interest in keeping Britain “in”. However, policy-makers believe there is little they can do to influence the outcome of a future referendum in the UK. The British EU debate is seen as unpredictable and far away from current discussions about EU policy in Germany. Berlin’s willingness to make concessions to London is therefore rather limited. A concern that is sometimes raised is what would happen if Germany did make substantive offers but the British people still voted in favour of leaving the Union. Overall, Germany has been hesitant to take ownership of what is seen as a British responsibility. This is why Berlin has made it clear on a number of occasions that it was not responding to London’s calls to put forward its red lines, or to map out areas of potential joint agreement on EU reform. Instead, Berlin has expected London to make the initial moves. At the same time, Germany demonstrated it was willing to listen and to explore areas of cooperation if the UK put its cards on the table. Angela Merkel’s visits to the UK over the past year have been a visible demonstration of this commitment, as has been the continued conversation between the Federal Minister of Finance, Wolfgang Schäuble, and George Osborne. Even after David Cameron sent his letter to the President of the European Council setting out the UK’s demands, there remains a great deal of uncertainty about what the British government actually wanted from negotiations. It is not so much the prospect of yet another arrangement beyond the structures of the Lisbon treaty that worries Berlin. Rather, there is both disagreement on substance as well as doubts as to whether London can work toward outcomes that are not settled already. The former is particularly the case with regard to the demand for a red card for national parliaments. Germany is hesitant to give space to even more veto players in EU policy making. On the latter, the question of “ever closer union” is seen as having been settled with the declaration of the European Council in June 2014. This is also true for the British demand for a new “mindset” in Brussels to foster competitiveness. While Germany does agree that this will indeed be a joint aim, it is not clear how the UK intends to help bring about such a new culture of competitiveness beyond what is being done already at EU and member state level. As regards the guarantees that London is asking for to protect the status of the Eurozone “outs”, Berlin does not seem to fully understand what London wants because London itself has been unclear about the details of such an overall broad claim. Furthermore, London’s timing is considered rather ambitious in Berlin, and the situation is compared to the negotiations that led to the Fiscal Compact in 2012. Back then, London had come up with its proposals at a very late stage in the process, by when it was clear that there was no way to reconcile these views with those of most other EU countries. As a result, the Fiscal Compact was concluded outside of the existing treaties. Now, there is a strong sense in Berlin that London will struggle to put the issue on the agenda of the European Council in December. Having said all that, Berlin still has a strong interest in David Cameron settling Britain’s domestic debate on Europe by means of the referendum. If there was a negotiated package in the coming months, Germany would be unlikely to publicly cast doubts about the scope and substance of any such deal. There will perhaps be hopes that the British government can succeed in making a credible case to the British people about their country’s importance in the Union. Behind closed doors, however, policymakers will perhaps ask the question of whether any such package will be enough for Cameron to win an in/out referendum. For Berlin, then, the big reform issues simply lie elsewhere: in the future of EMU governance, and the major challenge posed by migration. Almut Möller is a senior policy fellow and the head of the Berlin office of the European Council on Foreign Relations (ECFR). When David Cameron made his speech on the future of Europe in January 2013, Greece was in a period of difficult fiscal consolidation. After coming to an agreement with the Troika for the release of a tranche of approximately 50 billion euros, the main purpose of the government was not only to apply the bailout terms, but also to transform the Grexit ‘fear’ into a ‘Grecovery’ hope. In other words, Athens was putting substantial investment into a new political communication strategy aimed at turning ‘Grexit’ into a passé issue. Within this context, every reference to a potential exit of another country – such as Britain – from the EU would have been a setback. That is because the Greek case could be easily recalled and brought back onto the political agenda. The causes that might lead Greece and Britain to abandon either the Eurozone or the EU are substantially different. The former might be pushed by some EU members to leave, while the latter is able to decide its fate alone. Moreover, Athens has been obliged to meet the required fiscal targets and implement the necessary reforms in order to remain part of the common currency family, whereas London has been attempting to negotiate a new, UK-only deal with the EU. Nevertheless, the fear of Greece’s expulsion from the Eurozone was the driving force behind the country’s desire for Britain to stay in the EU during the term of the coalition government of New Democracy and Pasok. While the debate across the rest of Europe on Britain’s future in the EU started to flourish in the first months of 2015, Greece was at the time busy dealing with its own economic and political problems. The victory of Syriza in the snap election of 25 January 2015 completely altered the agenda of the previous Greek government. Grexit returned to the forefront, with negotiations between Athens and its creditors becoming the only theme of interest at the political, public and media level. The British general election of 7 May 2015, for instance, was not widely discussed. At that time, the priority of the Greek government was to guarantee the financing of the national economy. Further to this, Greek citizens were highly concerned about a potential return to the drachma and the repercussions of such a development. In this environment of political and social instability, the debate about the future of Britain’s future in the EU found no place. By contrast, Britain was keener to monitor the situation in Greece and former Finance Minister Yanis Varoufakis’ influence on Premier Alexis Tsipras. A potential ‘Grexit’ might serve as a precedent for a ‘Brexit’ in the case of an ‘out’ vote in the British referendum, and so is therefore something the UK could draw important lessons from. Following the agreement of 12 July 2015, the Greek government had to face reality in an anomalous way. It will have to apply the terms of the third bailout and regain the trust of the rest of the EU that it lost in the first seven months of the year. Although its main focus remains the national economic crisis and possibly a settlement on Greek debt, Greece – as an ordinary member-state –is now interested in Britain’s future in the EU. Without taking a specific position on David Cameron’s reform proposals, Athens hopes that London will stay in the EU. A British withdrawal would have tangible negative consequences for the EU and Greece, such as the need to replace Britain’s EU budget contributions. A country struggling to find its way out of an unprecedented economic, political, and social crisis naturally seeks to avoid additional trouble at the European level. Finally, a powerful and united EU that includes Britain could assist Greece in a more efficient way to deal with the refugee crisis. Dr George Tzogopoulos is based at the Hellenic Foundation for European and Foreign Policy (ELIAMEP) and the Centre International de Formation Européenne (CIFE). The United Kingdom has been an important reference point for Slovakia’s dealings with the European Union. In the early half of the last decade, Bratislava viewed the UK as a champion of EU enlargement. London strongly supported the EU accession of post-communist states and ranked consistently among the top three foreign investors in Slovakia. Its decision to open the country’s labour market to new member states in May 2004 reinforced the UK’s friendly image. Britain also played an important role in the EU’s launch of its European Neighbourhood Policy, which helped structure new political relations between Slovakia and its biggest neighbour Ukraine. More recently the positions of the two countries have diverged institutionally as a result of Slovakia joining Schengen in 2007 and adopting the euro in 2009. Policy preferences have also shifted. The UK has become tougher on labour migration. And London has been playing a less visible role in the EU’s neighbourhood policy. Despite this, some common aims remain. This is especially so on issues such as an improved single market and trade and investment policies where Slovakia, as a small open economy, has for years shared London’s broad push for a liberal economic order. Despite recent intra-EU clashes over the ongoing refugee crisis, Slovakia’s consistent goal has been to solidify its place in the Union’s political core and to help preserve the EU’s broader political cohesion against the backdrop of its growing problems. Hence, a Brexit could challenge Slovakia’s preference for the EU’s future as much as it could undermine the strength of the EU’s liberal economic voice. Moreover, with Slovakia’s upcoming EU Council Presidency in the latter half of 2016, the country has to think about the wider implications of the UK’s EU referendum as it may well be managing its consequences from the position of having to be an honest broker in Brussels. While Bratislava’s preference for keeping the UK inside the club is clear, it does not come at any price. Slovakia has already articulated important red lines in the run-up to more detailed negotiations over the UK’s future EU membership. First and foremost, Bratislava is keen to underscore and preserve the principle of equal treatment in the EU. Most importantly, Slovakia does not want to undermine free movement of labour across the Union. With a six digit number of Slovak workers in the UK, any future deal on labour migration must ensure that a family from Slovakia working in the UK is entitled to the same benefits and rights as a similar Dutch or Scottish family living and working in London. Slovakia is also sensitive to any undermining of equal treatment of member states. As a Eurozone member, Bratislava wants to prevent permanent dividing lines between users and aspiring users of the common European currency. While not currently on the agenda, future enlargement of the Eurozone to Visegrad neighbours especially are in Slovakia’s strategic and economic interest. Slovak officials have also consistently argued against opening up the EU treaties. The EU’s cohesion could be further weakened if the treaties were reopened. At the same time, Bratislava will probably welcome a further strengthening of the role of national parliaments in EU policymaking. While the legal prerogatives of the Slovak parliament are strong in EU matters, practically they are hardly used due to a lack of resources and human capital in the country’s legislative body. Hence, a debate on yellow, red or green parliamentary cards could mobilise further domestic changes towards greater transparency and legitimacy of EU-related decisions. Finally, as an export based, small economy, Slovakia is keen to foster greater competitiveness across the EU. The country’s strategic goal is to catch up with the average level of wealth in the EU through sustainable sources of economic growth. The Slovak EU Council Presidency in 2016 will strongly promote further work on the single digital market, EU capital markets, and external EU trade relations. In short, while Slovakia has some clear priorities when it comes to renegotiating the terms of UK membership, its strategic interest is to help keep the UK in the EU in order to ensure a stronger and workable Union. Vladimír Bilčík is Head of the EU Program at the Slovak Foreign Policy Association and Lecturer at Comenius University. Given the potential impact on the EU, the UK‘s in/out referendum and the associated reform agenda should be high up the Brussels agenda. But, curiously, so far there has been little obvious activity in Brussels, with few signs that it has the attention of the EU leadership. During the October Summit there was only a very short discussion of the UK referendum, with David Cameron pledging to set out the UK’s specific issues to be addressed (the EU reform agenda) in writing to President Tusk by early November, which he duly did on 10 November. Although there are no obvious signs of high level political negotiations, more is going on behind the scenes, including some technical discussions between officials. But at some point, the negotiating sides will have to open up: the UK will need allies in Brussels (and in key national capitals) to get meaningful reforms, so any concrete proposals must also be discussed with stakeholders here. But what is Prime Minister Cameron’s strategy to manage the negotiation process, within the broader context of the referendum campaign? Below are three potential scenarios which explain London’s reticence to become more concrete at this stage. Keeping a low profile might have been the plan all along. No. 10 has certainly been playing its cards close to its chest. There is only a small circle of people involved within the UK Government. London’s instinct seems to be for a close-circle inter-governmental negotiation with selected capitals, with Berlin being first among equals. While this might be a useful first step to gather some broad political support, London will eventually need to bring in a much wider range of allies among the Member States and the EU’s institutions, as well as opinion formers, and for concrete reform negotiations the experienced and efficient machinery of the Foreign and Commonwealth Office will have to take the lead. There still is pervasive uncertainty, not only concerning the date of the referendum but also on the concrete details of the reform agenda. While the broad outline of UK demands is now known – sovereignty (linked to the ever-closer union and power of national parliaments), fairness (ensuring that the non-Eurozone countries are not outvoted on issues such as regulation of the financial sector), competitiveness (improving the business environment in line with the Juncker Commission priorities) and welfare (restricting certain benefits for EU citizens coming to the UK) – there is little concrete beyond this, even in the letter of 10 November. No. 10 seems to be waiting until they judge the chance of success being highest, with a prior protracted discussion of reforms seen as being unhelpful. But this makes it less and less likely that the EU will be able to put any meaningful reforms into place in time for the referendum and the risk that the referendum interferes with other key political milestones, especially the French and German elections, is increasing if the referendum isn’t held in 2016. If the UK referendum becomes part of domestic election campaigns, it would, most likely, limit the willingness to make concessions to London. The uncertainty regarding the concrete elements of the reform agenda also make it impossible to canvas what other Member States and the institutions see as being possible, politically and legally. There is thus a risk that the reform agenda either proves to be politically tricky to implement or, more likely, that it will be strong on symbolism and thin in substance. While the rhetoric in Brussels is still strong that almost everything should be done to keep the UK in, this is not an absolute commitment: there are important ‘red lines’ such as no Treaty revision now and no softening of the fundamental right to mobility. Moreover, there are worrying signs that not all perceive keeping the UK in as the key priority at this current moment. The refugee crisis is capturing attention and political capital, with the role of the UK seen as being entirely unhelpful from the perspective of the institutions and, crucially, of Germany, given the paltry number the UK is willing to take, which is perceived as a lack of solidarity. In addition, the UK’s opt-out from common solutions to the refugee crisis has highlighted the danger of cherry-picking in the integration process. After all, if the UK (and Ireland and Denmark) can happily ignore the impact of large refugee flows on other EU countries, the incentive for others, like the reluctant Central and Eastern Europeans, to seek similar opt-outs increases. The way this process is running shows that domestic UK considerations yet again trump engagement at EU level. What conservative Eurosceptics think is seen as more important than creating alliances at EU level; what domestic public opinion demands in terms of reforms weighs more than what is feasible to achieve in the current EU environment. This carries obvious risks, especially if a real discrepancy emerges between what is demanded by London and what can be delivered in Brussels. Raising false expectations could backfire. In the end, No. 10’s political judgement seems to be that it can replicate the last EU Multi-Annual Financial Framework negotiations, where Cameron could present relatively meagre results (an overall cut but little real reform of spending), achieved mainly by the political weight of Germany, as a political triumph to the UK media and the general public. Symbolism and political theatre, as seen in the British walk-out of the Fiscal Compact negotiations, is seen as counting more than actual substance. Will the UK’s approach work? These tactics might work but they can also spectacularly backfire. An EU reform agenda that looks convincing will be one of the decisive factors in the referendum. But this reform agenda is likely to be thin in many parts and it cannot address some of the fundamental questions, such as who, ultimately, decides when it comes to the free movement of EU citizens. Some elements of the agenda might require a hard sell to the British public, including, for example, promises of future Treaty changes, which are likely to be seen with suspicion. A lot will depend on how strongly Prime Minister Cameron can deal with internal Conservative critics and whether the lacklustre ‘in’ campaign picks up more momentum. In a worst case scenario, the Conservative ‘outs’ manage to insert impossible demands, such as a quota for EU citizens. This would scupper a reform deal, tipping what looks like an increasingly tight race. Behind the scenes, it is essential to define now what maximum reform agenda is possible and desirable for both sides. One final reason why the dog has not yet barked is that, deep down, most believe that it is still unthinkable that the UK will say ‘No’. But this underplays not only the rise of Euroscepticism in the British, especially non-London English, population; it also underestimates how impossible it is to predict the momentum of a referendum, including its negative interaction with the refugee crisis. Turn-out rates might well prove crucial in the end. For these reasons, the EU should not only work on a realistic reform agenda but should also make contingency plans on how to deal with a possible No, despite the undesirability of this outcome for Brussels and London. Fabian Zuleeg is Chief Executive at the European Policy Centre. Note: This article gives the views of the authors, and not the position of BrexitVote, nor of the London School of Economics. 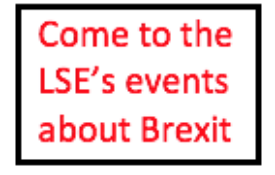 This article first appeared at LSE’s EUROPP blog.